I would like to take the opportunity to thank everyone for their interest and support over the years. Please take a moment to share our new website with your friends and family via Facebook Twitter and any other medium available. Our new website with its forum we hope will give everyone interested in the Principality the chance to give input advice and ideas. 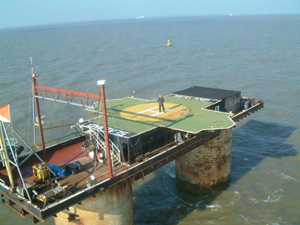 Sealand is in its 45th year and in the time since its conception in 1967 many countries have been established about the world and many have disappeared. Empires have broken down into smaller independent entities and new borders made. Many times over the years it has been a physical and financial struggle to maintain the fortress island and keep it secure. Aided only by our small family and a small band of Sealanders. There is only so much a small group of people can achieve. To this end it would be great to see discussion on our forum on topics such as economical land reclamation and any international aid that might be available for that purpose, generation of solar, tide, and wind power, coin making equipment, passport production, recognition and any other topics that would help the advancement of Sealand. I look forward to following the interesting discussions. PrevPreviousOur New Website is Online!